Content: 98.0 per cent to 100.5 per cent of MgO (ignited substance). Appearance: Fine, white or almost white powder. A. 15 g has an apparent volume (2.9.15) before settling of not more than 60 ml. B. Dissolve about 15 mg in 2 ml of dilute nitric acid R and neutralise with dilute sodium hydroxide solution R. The solution gives the reaction of magnesium. C. Loss on ignition (see Tests). Solution S: Dissolve 5.0 g in a mixture of 30 ml of distilled water and 70 ml of acetic acid, boil for 2 min, cool and dilute to 100 ml with dilute acetic acid. Filter, if necessary, through a previously ignited and tared porcelain or silica filter crucible of suitable porosity to give a clear filtrate. Appearance of solution: Solution S is not more intensely coloured than reference. Soluble substances: Maximum 2.0 per cent. To 2.00 g add 100 ml of water R and boil for 5 min. Filter whilst hot through a sintered-glass filter (40) (2.1.2), allow to cool and dilute to 100 ml with water R. Evaporate 50 ml of the filtrate to dryness and dry at 100-105C. The residue weighs a maximum of 20 mg. Substances insoluble in acetic acid: Maximum 0.1 per cent. Any residue obtained during the preparation of solution S, washed, dried, and ignited at 600 ±50C, weighs a maximum of 5 mg.
Chlorides: Maximum 0.1 per cent. Sulphates: Maximum 1.0 per cent. Arsenic: Maximum 4 ppm, determined on 5 ml of solution S.
Calcium: Maximum 1.5 per cent. Iron: Maximum 0.07 per cent. Heavy metals: Maximum 30 ppm. Loss on ignition: Maximum 8.0 per cent, determined on 1.00 g at 900 ± 25C. 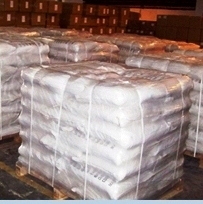 Magnesium Oxide occurs as a very bulky, white powder, known as Light Magnesium Oxide or as a relatively dense, white powder known as Heavy Magnesium Oxide. Five grams of Light Magnesium Oxide occupies a volume of approximately 40 to 50 mL, while 5 g of Heavy Magnesium Oxide occupies a volume of approximately 10 to 20 mL. 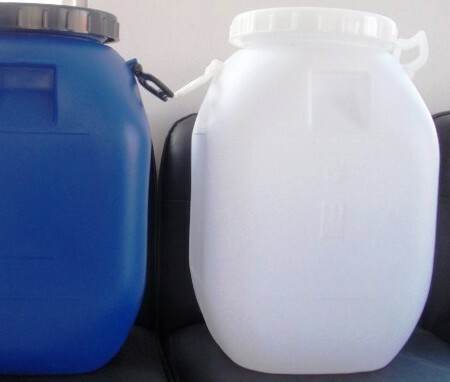 It is soluble in dilute acids, practically insoluble in water, and insoluble in alcohol. Function: pH control; neutralizer; anticaking agent; freeflowing agent; firming agent. Labeling: Indicate whether it is Light Magnesium Oxide or Heavy Magnesium Oxide. Identification: A solution of sample in 2.7 N hydrochloric acid gives positive tests for Magnesium. Assay: Not less than 96.0% and not more than 100.5% of MgO after ignition. 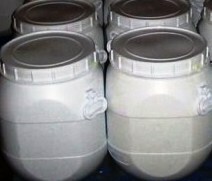 Acid-Insoluble Substances: Not more than 0.1%. Alkalies (Free) and Soluble Salts: Passes test. Calcium Oxide: Not more than 1.5%.